Your information is sometimes shared within the Co-operative Financial Services Group™ of companies so we can offer you a full range of financial products and services. These affiliates include: Credit Union Members Insurance Society (CUMIS), Credential Group, Concentra Financial, The Co-operators Insurance, Credit Union Payment Services (CUPS), Collabria Financial Services Inc and Celero Solutions. Any product or service offering that is derived from this sharing of information comes directly from us and not from our affiliates. For a complete list of our service suppliers, inquire at our office. You have the right to review your personal information held by Dodsland and District Credit Union and to verify its accuracy. To gain access to this information, contact us at 306.356.2155 or contact us. You can expect that it will take up to 30 days for us to gather the information. You may be charged a minimal fee to cover the expense of providing you with the information. Accountability – We have designated a privacy officer who is accountable for our compliance with the principles of the code. Identifying Purposes – When we ask you for personal information, we will identify the purposes for which it will be used or disclosed. Consent – We require your knowledge and express or complied consent for the collection, use or disclosure of personal information. Limiting Collection – The collection of personal information is limited to the purposes we have identified for you. Limiting Use, Disclosure, and Retention – We will use or disclose your personal information only with your express or implied consent, or as required by law. We will retain your information for only as long as is necessary to fulfill identified purposes. Accuracy – We will keep your information accurate, complete and up-to-date as is necessary for the purposes for which it is to be used. Safeguards – We will protect your personal information with appropriate security safeguards. Openness – We will make specific, understandable information readily available to you about our personal information policies and practices. Individual Access – When you request it, we will give you access to your personal information, how we use it and who we disclose it to. You are entitled to question its accuracy, its completeness and its uses. Challenging Compliance – You are entitled to question the privacy officer about our compliance with any of these principles. To obtain a copy of our Privacy Code, contact us or stop by the office. We may possess personal information about you that we collected prior to implementation of our privacy code, for which we do not have your express consent to use. We will continue to use that information, unless you ask us to stop using that information. This is considered implied consent. Withdrawal of your consent provides you with an opportunity to limit the uses and disclosures of your personal information should you choose to do so. You may limit or withdraw your consent at any time, subject to legal or contractual obligations. For example, your credit union is required by law to provide a record of your interest earning information to the Canada Customs and Revenue Agency. On our website, we collect only personal information that is required to improve the services we offer, to improve our site content and, with your permission, to contact you with information about our services. We will not share any personal information obtained on this website with any other organization without your express knowledge and consent. Our web site contains links to other web sites that are part of, affiliated with, or have a business relationship with Dodsland and District Credit Union. When you leave our site to visit one of these other sites, the only information transferred to the new site is the fact that you came from the Dodsland and District Credit Union (www.dodslandcreditunion.com) web site. Transmission of this referring address allows other sites to monitor their own web traffic, but does not disclose any personal information about you. At Dodsland Credit Union we are committed to protecting your privacy and safeguarding your personal and financial information. While the Internet is revolutionizing the way that we do business – providing convenient access to financial services from your home or office – we recognize that it also brings concerns about Privacy and Security. This Privacy Statement describes how your personal information is collected, used and disclosed within our MemberDirect® Internet banking site. The MemberDirect® site is the area of our website that requires you to use your Account Number and Personal Access Code (PAC) to enter. By accessing the MemberDirect® site, you agree to the collection, use and disclosure of your personal information for the purposes described out in this Privacy Statement. 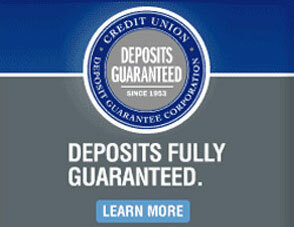 For more information on all of our Privacy Policies and Practices please contact your credit union. To ensure that you are the only person who accesses your personal information, we restrict access to the MemberDirect® site by requiring you to enter your Account Number and PAC to login. Only you know your PAC. Our employees do not have access to your PAC, and they will not ask you to reveal it. If someone does ask you to provide your PAC to them, you should refuse to do so and contact us immediately. You are responsible to ensure that your Account Number and PAC are not disclosed to any other person. If you disclose your Account Number or PAC to any other person or become aware of any unauthorized access, you are responsible to advise us immediately by contacting us via facsimile. We may also use transactional information for servicing your account – for example, we may bill you for the particular transactions that you perform, or for the services that you use. To create a secure channel between your browser and our server, we use 128-bit Secure Socket Layer (SSL) encryption, the highest level available. To learn more about 128-bit SSL encryption, and our security policies, please review our security information..
We may collect information about how our account holders are using it. These usage statistics are only viewed in the aggregate – and are never tied to an individual. The information collected may include your IP address, your browser type and your operating system, as well as data that is passively generated as you browse our site, such as the number and types of pages visited, and the length of time spent per page and on our site overall. Specifically, we use two kinds of cookies – session cookies and persistent cookies. A session cookie exists only for the length of your browsing session and is deleted when you close your browser. A persistent cookie is a cookie that stays on your computer after you close your browser. A persistent cookie may or may not expire on a given date. Most recent browser versions allow the user to set some level of control over which cookies are accepted and how your browser uses them. Many browsers will allow you to accept cookies from only known, reliable sites that you select, such as the MemberDirect® site. If you are concerned about cookies, we encourage you to upgrade your browser to a recent version and review the Help section of your browser to learn more about its specific control features. We use a persistent cookie to store information to help you personalize the MemberDirect® site and to make it easier to use. For example, we allow you to make the MemberDirect® login easier by remembering your Account Number and Branch within our Memorized Accounts feature. Since the Memorized Accounts feature is optional, this cookie only contains information that you have entered into it. To ensure that someone cannot access your personal information, always exit the MemberDirect® site using the logout button located at the top of every page. When you exit using the logout button, we delete your session cookie so that your session cannot be resumed unless your Account Number and PAC are re-entered. When you click on the Enhanced Security checkbox, the MemberDirect® site will prevent your browser from caching (storing in the computer’s memory) those pages that you have viewed. Should you click on the “Back” button to view a previous page during a session, the page will be recalled directly from our server. Therefore, when you logout, no one will be able to view your information by clicking on the Back button, or by viewing the browser’s History. We recommend that you use this function if you are accessing your accounts from a publicly available computer such as in a library or airport. You may also want to consider using the feature if you are using a computer at work, or a friend’s computer, to access your accounts. Once again, it is important to remember to always logout of the MemberDirect® site using the logout button. In the event that you leave your computer without logging out, the MemberDirect® site has been designed to end your session automatically if our system detects that you have not provided any instructions or used the browser buttons to navigate for several minutes. To restart the session, you will need to provide your PAC again. We will not provide your email address to any third party without your consent. We may use your email address to send you information about financial products or services that we think may be of interest to you. If you do not want us to contact you with product information by email, you may tell us so at any time and we will discontinue the practice. Some of our partners require that you first register with their service to permit us to tie their functionality into the MemberDirect® site. Registration for these external services will always be at your discretion. We may append personally identifiable data to this registration for the Partner to use to compare and validate the registration. You will always be notified of such an action during the registration process. The MemberDirect® site may also contain links to other websites or Internet resources. As an example, from time-to-time we may provide links to Microsoft or Netscape to assist you in upgrading your Internet browser. However, Dodsland Credit Union has no responsibility or liability for or control over these other websites or Internet resources or their collection, use and disclosure of your personal information. Always review the privacy statements of the sites that you are viewing. Please contact your credit union if you have any questions or concerns about our MemberDirect® Privacy Statement, or the practices of this site.